Most of our training focuses on within the Information Security (InfoSec) realm. This includes, but is not limited to, the Digital Forensics Sciences, Physical Data Recovery, Incident Response, System / Web Application Attacks, Reverse Engineering / Malware Analysis, OSINT/CybINT, Information Security Management, and other InfoSec related disciplines. We offer onsite/in class courses and online training. We do have a Facebook group for Cyber Secrets that has a lot of great people including previous students.There are a lot of resources chared there. We also have an active GitHub account that we update with content related to our course materials. These projects range from automating simple tasks for setting up your own CLFR to making reverse tunneling a push-button process. We have built two separate training environments. The first one is our original CLFR based off Kali Linux and has been modified with labs, templates, and Virtual Machines installed on an external drive to practice your trade craft. Our second and newest CLFR is a virtulization server based off Ubuntu Server running KVM/VirtManager. We have over thirty vulnerable systems setup and many of your favorite environements like Kali, Perrot Security, BlackArch, Whonix, Sift, Palidin and more. 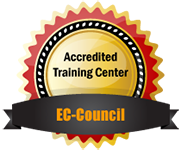 We can offer EC-Council Training and onsite testing. 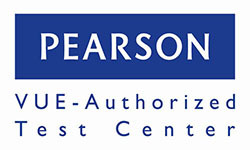 This includes the popular Certified Ethical Hacking (CEH) track through the LPT, the growing Computer Hacking Forensic Investigator (CHFI), Certified Threat Intelligence Analyst (CTIA), and the Certified CISO. This is a new service we are providing that links to free videos from Cyber Secrets and many other leading InfoSec sources. If you need to keep up your continuing education, many of these can qualify. The instructor was fantastic. His real-world knowledge beyond the book enhanced the class greatly. The CEPT is next for me. I'd also like to take the Forensics class. "Jeremy was extremely helpful with any questions from any student. Answers were very helpful and easily understood. The lectures were never boring at any time during the week. I will definitely recommend this course and instructor to coworkers. There were students at many different levels of Pen Testing understanding, and Jeremy was able to help everyone. I come from a programming background with no pentesting experience, and was able to pass the CEH and CPT with a 92%. The course moves quickly to cover a ton of information, but goes into an adequate amount of detail. The labs in particular were very helpful for me to learn how to use the material I learned during lectures. Capture the flag was also helpful to get more practice in addition to the labs, and it was also fun." "I liked how there were lots of hands on examples and explanation of what the tools were actually doing...not just how to use them. I plan on taking Advanced Ethical Hacking or Wireless Security, and I enjoyed the instructor's experience in the security industry." “The instructor’s real world knowledge was invaluable. He knew the course material and relayed it on way that was easy to comprehend. I would attend any class or lectured proctored by the instructor again. "I feel extremely fortunate and humbled to have been taught by such an expert instructor! I liked the expert knowledge of the instructor, and his ability to clearly demonstrate it. It was great to be close to the strip in Las Vegas but yet still in a quiet hotel where I could concentrate on the training at hand." "Jeremy had fantastic knowledge of the material, and was quite good at making sure we understood it." "hes a dictionary of data recovery"
"He is very knowledgeable and was able to give many examples of real life incidents either he worked on or read about. I would surely recommend him as an instructor to anyone." "Jeremy is very enthusiastic about this material. He enjoys the subject and his energy comes through in his teaching. I enjoyed the subject matter of the course, and I found it very relevant to my job duties." "The instructor had great experience that he can share with the class and was very helpful in explaining concepts & making sure we know what is being said. I really got a lot out of the lab work, I was surprised the labs were so involved and I really learned much from them.?" "I found the instructor to be very motivating. The course was difficult, but very detailed and thorough in its coverage. I liked how I was forced to learn a lot of information in a short time frame. I feel up to speed on pen testing subjects after the class." "Instructor had an immense amount of experience in this area, and all things related to IT. The exercises were easy to follow. I would like to take the advanced course with this instructor." "The instructor's real world knowledge was invaluable. He knew the course material and relayed it on way that was easy to comprehend. I would attend any class or lectured proctored by the instructor again. " "You have a real competent teacher: not a teacher but somebody who works with it. The instructor is simply great! He knows the topic and he is a Team Builder, making the atmosphere nice and relaxed. I would rate him 10/10!!!!" 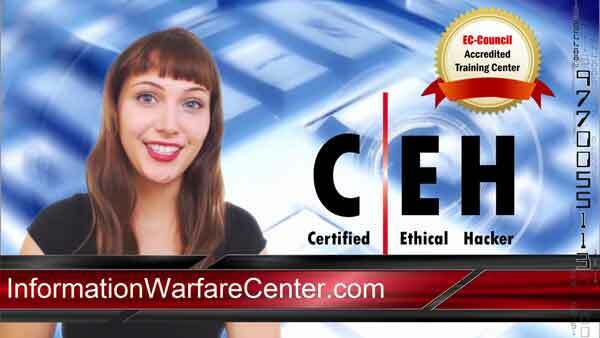 "It was an incredible experience learning from the instructor on Ethical Hacking. Not only was he one of the most knowledge on Security that I had ever had the opportunity to work with, he also possess great patience and people skills. I would like to take the CISSP Boot Camp or Advanced Ethical Hacking next"
"Loved the pace that Jeremy Martin taught at, wealth of knowledge and was an awesome presenter! Thank you!"